Is anyone else getting excited about fall polish collections? I am! 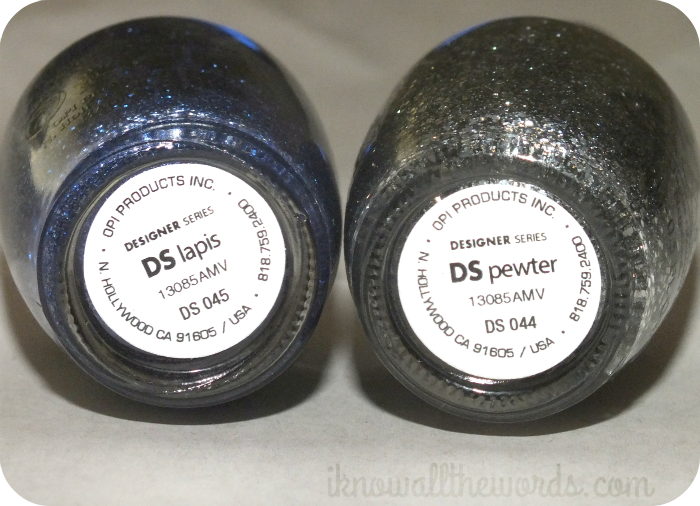 I am waiting on a few pre-ordered shades from OPI and Essie but in yesterdays package bonanza- seriously, every time I turned around there was another box at the door- these two new OPI DS shades arrived. I always get excited about new designer shades as they tend to be particularly gorgeous. 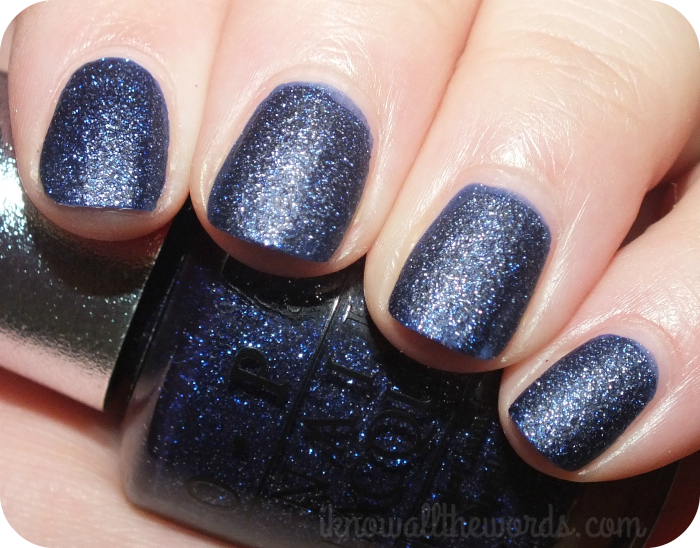 Read on to see these swatched! 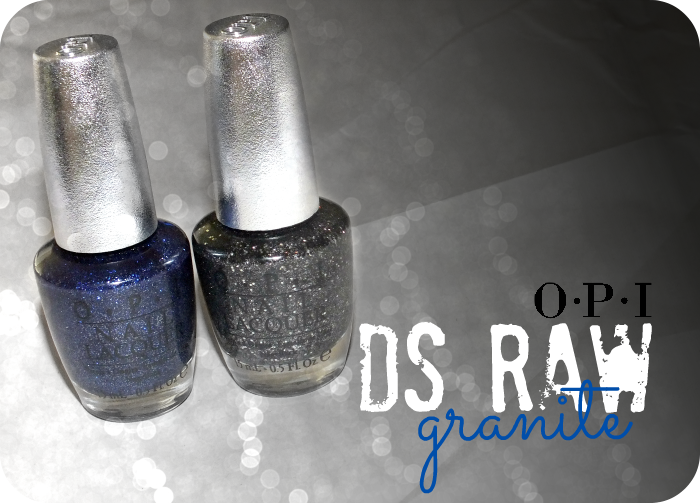 'This fall, OPI adds DS Raw Granite; two new granite-inspired hues – DS Pewter and DS Lapis – to the Designer Series by OPI collection. Featuring a matte textured finish with mineral-like reflections, each Designer Series Raw Granite lacquer formula offers subtle sheen with a sparkle finish. DS Lapis is described as being a 'deep sapphire blue with a textured matte finish'. The texture isn't all that apparent compared to other polishes on the market- it's quite a soft take on texture. 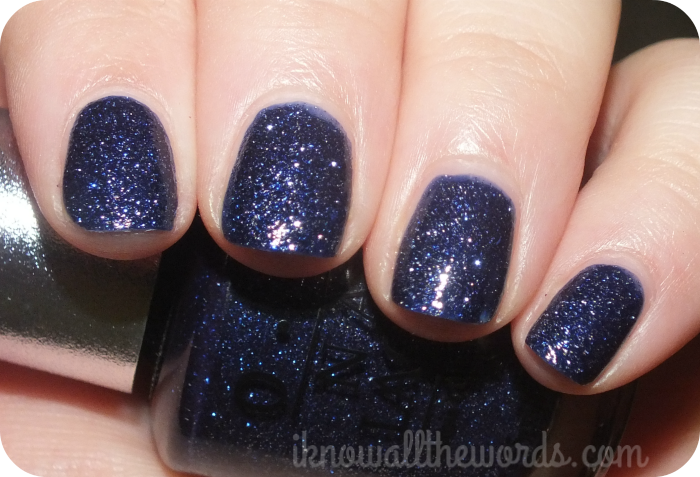 The sparkle and shimmer is what really makes this polish interesting as it gives the deep blue a lit from within quality. 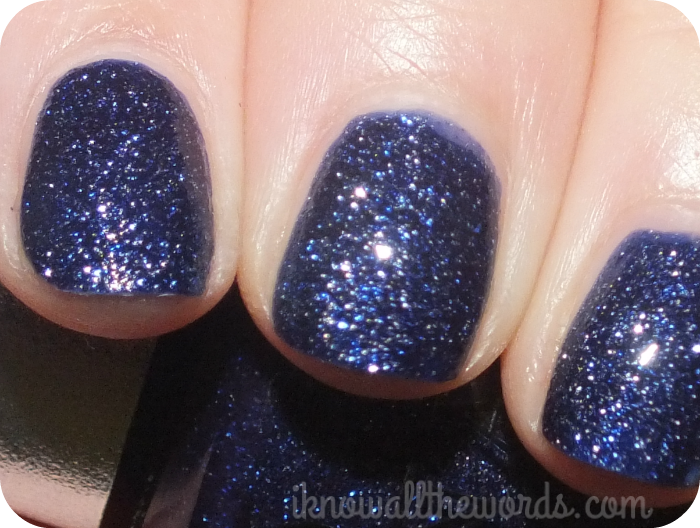 When you add topcoat the blue is intensified and the shimmer really comes alive. The formula of this is perfect, I used two thin coat, but one thicker coat would do. Also, the matte finish makes this dry incredibly quickly. DS Pewter is described as being a 'matte textured metallic with deep silver ore'. 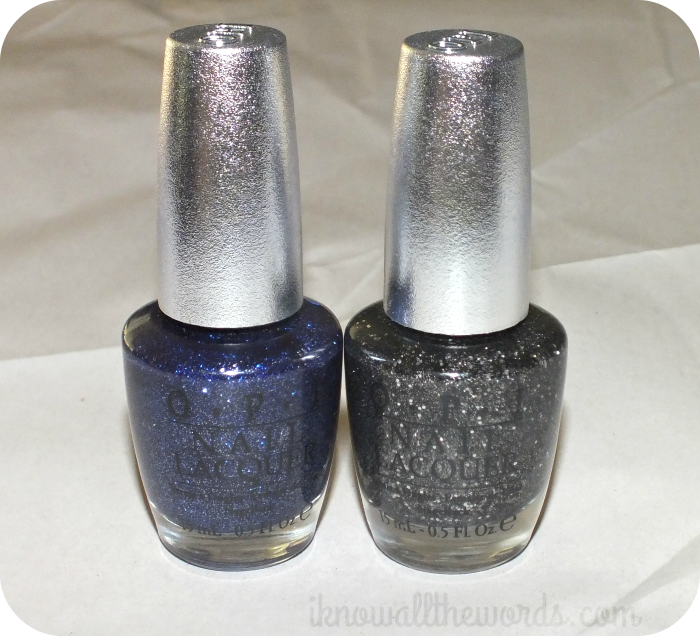 The main shade is a dark charcoal shade packed with shimmering silver glitter and larger round holo pieces. The texture is a bit rougher than in Lapis, but still softer than other textured polishes I've used. The first coat seemed a bit thin, but the second provided full opacity. When you add a top coat, the base shade gets darker and makes the holo peices pop more. Overall, these are both gorgeous polishes. I love that with them you have four wear options as the addition of a top coat really does change their look. These will be available beginning September 2013 at professional salons and spas. Will you be picking them up? Which shades do you reach for in fall?